Prof. Mamidi holds a D.Phil in Sociology from Oxford, a LL.M from Harvard Law School and an Undergraduate degree in Mathematics from Osmania University. 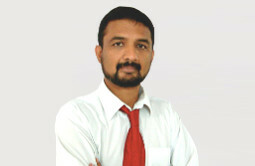 His consulting experience includes services to the technology industry, covering both Indian and US firms. His research includes Patenting criteria, technological innovation and the social costs of intellectual property. He has done work on field-based empirical work on social norms, trust, and inter-ethnic negotiations. He has conducted field interviews with left-wing guerrillas in tribal villages in south India to investigate their recruitment processes. He contributes to training the government in strategies of peaceful conflict resolution, and draws the attention of belligerent actors in rebel areas to the rights of civilian victims who get caught in the crossfire.